Cottage Grove, Oregon Real Estate Did You Know that Cottage Grove is the Covered Bridge Capital of Oregon? 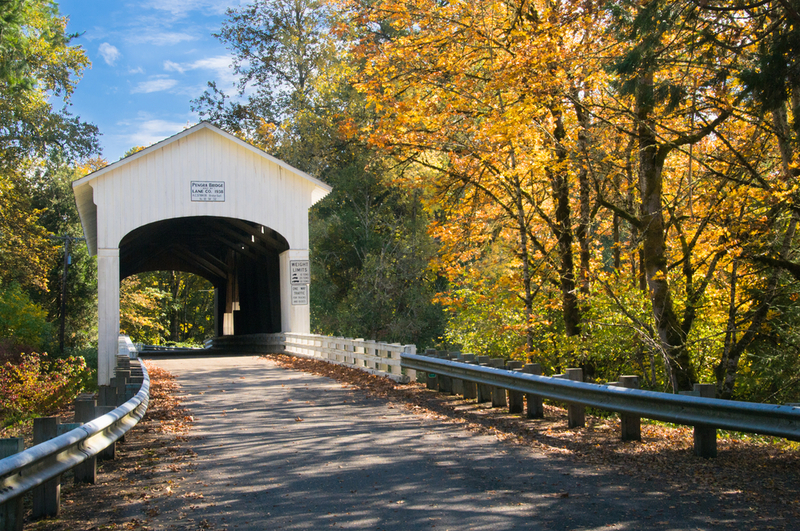 Known as the “Covered Bridge Capital of Oregon”, Cottage Grove, Oregon is home to 6 historic covered bridges including the last remaining covered railroad bridge west of the Mississippi. On top of its charming historic destinations, Cottage Grove, Oregon contains many beautiful trails, rivers, and other nature sites to enjoy. It is home to some of the most picturesque and family friendly bicycling opportunities in the state. Cottage Grove offers many historic shopping and dining experiences and it’s warm summers and mild winters provide the ideal climate for their many outdoor events and festivals. It is the third largest city in Lane County and is about 20 miles away from the Eugene/Springfield area. For a complete list of homes in Cottage Grove, Oregon, click on the link above, or contact the Song Real Estate team today!